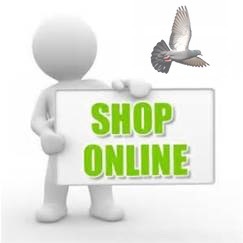 NEW BIRDS ADDED FOR SALE IN OUR WEB SHOP !! 1) "Brother DAISY" ref. OLD BIRD LINK for more info. 2) "Grandson POKERFACE" is full brother to father of the MIRA FCI 1 prize winner 2017 and 24.000 EUR ref. LINK for more info.